As a homeowner, it’s important that you adhere to this rule: Never settle when it comes to your home comfort. Instead, strive for the reliable and trustworthy HVAC services your home needs to attain the total home comfort you deserve. When you put your trust in the team at Mauzy Heating, Air & Solar, a consistently comfortable home is a guarantee. From our dependable furnace installations to our swift air conditioning repairs in Poway, CA, you can count on our team’s HVAC services to deliver tried-and-true system performance—no matter what. Whether you’re looking to replace your aging heater or to install an air conditioning unit that’s a better fit for your home, finding the right comfort system for your home is a necessity. This is a unit that continuously keeps you cozy without having to overwork or short cycle. As a Poway, CA, resident, you’re in luck. Mauzy’s team has the dedication and the expertise to help you with your system installation. Our HVAC contractors will examine your home’s layout and your contentment needs to find the air conditioner or heater that’s right for you. From a heating system installation to an air conditioning unit replacement, you can count on Mazuy’s team to complete the task at hand flawlessly every time. Even though your HVAC system is built to last, it is not indestructible. So, from an air conditioner repair to a heating system repair in Poway, CA, you can trust the professionals at Mauzy to deliver a swift and efficient repair to restore your unit to its peak condition. It rings true that the more TLC you provide to your heating and cooling system, the more reliable it is and the more confident you will be in its performance. From seasonal maintenance services to frequent unit checkups, staying on top of your system’s wellbeing will minimize the potential for costly repairs, allow for more dependable operation, save you money on your monthly utility bills, increase your unit’s energy efficiency and extend its lifespan. With all of these benefits, it’s easy to see the importance of maintenance. When it comes to air conditioner and heater maintenance in Poway, CA, there’s no team that will clean, inspect and replace your system’s parts like Mauzy’s team. So don’t delay. A more efficient system is just a call away. Homeowners who took the leap and switched to solar energy know that when the sun is out, so are the savings. 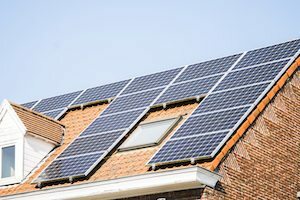 You see, Mauzy’s solar energy systems and residential solar panel installations trade in your home’s reliance on the electrical company for reliance on the more environmentally friendly (and budget friendly) choice: the sun. Though going green is an investment and a complete lifestyle change, it has saved many California homeowners lots of cash. So, if you would like to see whether solar energy is right for you, feel free to contact our solar contractors today! At Mauzy, we have all of the home comfort services you need to achieve the cozy home you deserve. For more information on how our heating, air conditioning and solar energy services can be beneficial for your Poway home, fill out our online form or call us at 858.900.3909 today!